San Diego is known as a town where there are more great chefs going than coming. 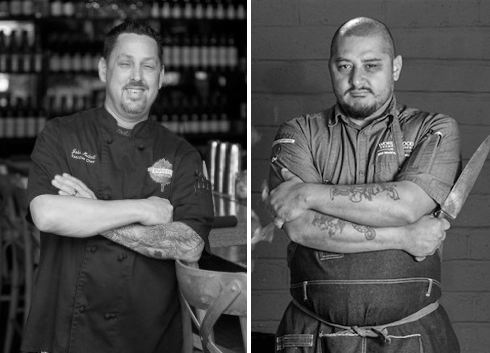 Two more exceptional chefs took to Facebook today to announce their impending departure from America's Finest City - World Food Champion Ricardo Heredia and former Corporate Executive Chef for The Patio Group John Medall. After completing five years of service in the U.S. Air Force, Chef John Medall began cooking under the wings of his elder brother, renowned Executive Chef Chris Fearnow. The passion for cooking that his brother imparted upon him led his decision to earn his culinary arts degree from the Western Culinary Institute in Portland, Oregon. He then returned to Las Vegas to begin his cooking career, working in a number of casino restaurants, before becoming the Executive Sous Chef at Bull Shrimp at the Green Valley Ranch Resort. Upon moving to San Diego, Chef John worked as executive chef of Galileo 101, Red Circle Cafe, Sheraton Suites San Diego, and Le Chef Bakery before taking on his most recent role as the corporate executive chef of The Patio Group, where he assisted in opening The Patio on Lamont and The Patio on Goldfinch. Chef Ricardo Heredia started working in professional kitchens by at age 15 and by 23, he had honed his skill under the guidance of Chef Steve Current at Current Cuisine and Catering in Yellow Springs, OH. Chef Ricardo came to San Diego in 2008 where he and partners and opened Alchemy Restaurant. In 2013, Chef Ricardo won $10,000 by winning the bacon category at the World Food Championship, and in 2014, he came back defending his title and sweeping the rest of the competition with his overall World Food Champion win, walking away with a grand total of $110,000. 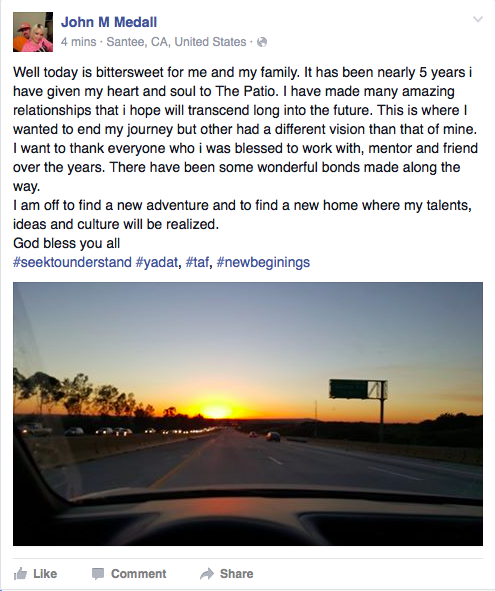 He returned and started a consulting company - KM Consulting and Scratch Culinary Education. Earlier this month, two other top local chefs announced their departure from San Diego for dryer pastures in Palm Springs. Chef Daniel Barron, formerly the launching Executive Chef of Blush Ice Bar & East West Kitchen, is now Executive Chef at Mister Lyons Palm Springs. Chef Kurt Metzger, who closed his restaurant Kitchen 4140 late last year after a 5 year tenure, is now Executive Chef at Avalon Hotel Palm Springs.